Shopping for the right baby carrier can be overwhelming since making the right choice is may never an easy task. There are several options (Wraps, Slings, Soft-structure and Mei tais) available, as well as a wide range of brands you’ve probably never known about. But after completing several hours of research into different models of baby carries, we’ve put together a list of some comfortable carries, specifically focusing on the baby carries for petite/short moms. The six position child carrier by LilleBaby remains one of the most popular baby carriers of present times, thanks to its design that allows us to try out different styles and carrying positions. The company is founded on Scandinavian design principles of functionality, stylishness, and accessibility, with the sole aim of producing baby products that improve your lifestyle and simplifies everything. The LILLEbaby All Season has six (6 in 1) ergonomic carrying positions to ensure your baby is accommodated comfortably as they grow healthily – complete functionality. The six ergonomic carrying positions is popularly referred to as the 360 degrees carrying which includes front, back, outward facing, inward facing, fetal and hip position. No matter how your baby likes to be carried around, there’s every single position for them and it’s very quick and simple to change from one to another. Check out this review of two most popular LilleBaby carriers. When it comes to parent’s comforts, there is the padded shoulder and waist straps, neck support, and lumbar support that help in distributing weight evenly. This cuts out backaches and it’s basically comfortable for you and the kid. It also features 2-way adjusters which makes fitting a breeze because you can wear the straps in backpack H-style or crossed X-style – endlessly customizable. Then there’s the safe, soft and machine-washable fabric that is medically approved besides being strong and durable. The fabric is 3D meshed which makes it cool and breathable, in addition, a temperature regulation section that easily zips-up and down for the baby’s comfort. The Ergobaby 360 comes in second on our list because of its scored pretty well in our tests. My favorite feature of this baby carrier is its structure which isn’t just comfy for the baby, but also for the parent. It’s a versatile carrier that keeps the baby comfortably seated in all the four carrying positions – front-inward, front-outward, back and hip carry. This comes with enough room for the baby top adjust, making it a convenient option for babies of all sizes. The manufacturers have also gone further to give parents guidelines on how to carry their babies, by insisting on the M shaped position which allows keens at the same level with the hips, and the spine in the C curved position. Another amazing thing about the Ergobaby 360 is how it comfortably fits on your body and can be worn on bodies of different sizes, including that of short and petite moms. The shoulder straps adjust between 28 to 46 inches while the waistband goes for 26 to 52 inches. The newly updated insert is designed to keep the baby warm and protect them from the adverse external environment. This is a great upgrade from the previous versions where parents relied on the thick cushioning only. The beautiful design and durable fabric can also go unmentioned because of it’s a quality worth trusting and very easy to use and clean. If you’re looking for a standard model that is able to offer you the right features for your baby’s safety and convenience to move around, then you need to know more about the Infantino Flip 4-in-1 baby carrier. This baby carrier is widely appreciated for its unique design and ability to support growing babies since it can safely support infant at 8 – 32 pounds. It has a multi-functional system that offers you four carrying positions which includes a facing-in-wide seat for older babies, facing-in-narrow seat for newborns, back carry-wide seat for toddlers and older babies, and facing-out-narrow seat for babies with a stable head control. The system also features an extra 2-in-1 bib which can be detached from the seat. This protects the exterior of the carrier, and both your clothes and that of the child when facing inwards. One of the most amazing features of this carrier is its versatility and how the seat can be adjusted to expand outward, allowing for the right support as the child grows bigger. The seats can easily be adjusted from the leg openings, waist belt, and straps to accommodate the baby safely and still distribute weight evenly. The Bebamour 2-in-1 baby carrier is a budget-friendly option offering many special features to meet your respective demands. Its load capacity and weight distribution make it one of my favorite options for carrying heavier babies for longer periods of time. This makes it a good option for moms going on out for shopping or trips. It comes with a head hood to protect the baby from the wind and sun. The fabric is breathable, soft, comfortable and skin friendly to hold the baby comfortably. You can also cuddle your bay comfortable as they are facing you against your chest, which improves your relationships. Being a 2-in-1 carrier you can carry the baby in two positions which improve versatility and comfort for both of you. If you’re looking baby carrier that fits comfortably with complicated snaps and belts, then the Baby K’tan wrap style carrier may be a good option for you. This carrier is simply designed with two loops of fabric joined together by a third loop providing a wrap style finish. The 100% cotton makes the carrier strong and durable, besides being comfortable for baby and parent. The design also assures you of versatility because you can carry the baby in several positions depending on your imaginations. The cotton is also machine washable, making it a convenient option for most moms because it can dry up fast. Since it comes in different sizes, you can comfortably choose the right size without having to worry about adjusting the straps and belts – perfect for petite moms. There are enough baby carriers out here able to help you out as you go through your day to day errands. The latest options provide special solutions for petite and short moms and they truly do wonders in their lives. 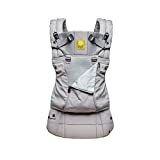 My favorite option from the above-mentioned option, the LILLEbaby SIX-POSITION ERGONOMIC CHILD CARRIER works well for me because of its versatility – the six carrying positions. Its temperature regulation is a plus, not forgetting to the adjustable straps. I often compare carriers to shoes: It’s really hard to describe shoes with reference to features; unless you just try them on. And that’s why we had to try out different carriers along specific guidelines to come up with this buyer’s guide. First, we do understand that the first years of your child’s life are unique and a wonderful time for you to bond with them. However, this may be hindered by some simple acts like leaving the comfort of your home to run some errands, meet up friends and clients, or even visiting the clinic, make nurturing life a no easy task. Fortunately, with a good baby carrier moms can easily go through their daily duties because they will have their hands free to get some stuff done. So, what really defines a good baby carrier for modern moms? Well, here are some things to consider when you go out looking for the right baby carrier. There are different types of baby carriers on the market today. 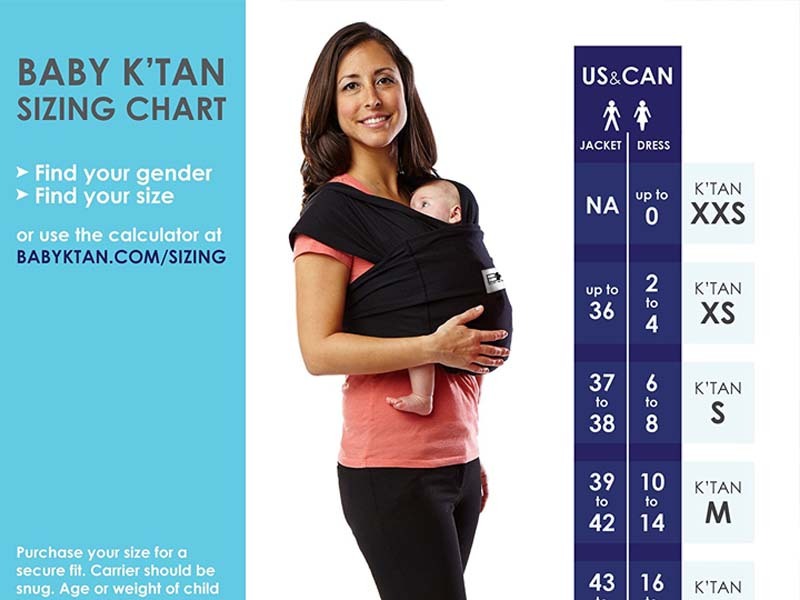 The choices may include soft-structured carriers, ring sling, pouch slings and Mei tais, among others. Since they come in different designs, you’ll need to check for the right style and features that will keep your baby comfortable and safe. RINGS SLINGS: these type of baby carriers are simple and easy to use. They are just a long piece of fabric with rings made out of strong metal. The rings are meant to keep the carrier secure. WRAPS: they can be used in various positions because they come in a bunch of different fabrics. Most people love them for their versatility, but you’ll need a little practice to learn how to use them. STRUCTURED CARRIERS: these are the modern type of carriers, the ones you commonly see around. They are mostly worn by going around your chest area and the baby’s back. They are easy to use and widely recommended, especially for new moms. MEI TAIS: This is a collection of wide fabric straps that form a comfortable carrier – 2 straps for the shoulder and another 2 for the waist area. POUCH SLINGS: They are a bit similar to ring slings, only that they can’t be adjusted quickly and easily. Though they are the cheapest, using this type requires you to be careful by fitting it correctly to ensure your baby’s safety. Wherever you go shopping for a baby carrier, your child’s safety should always come first. You really don’t want to end-up hurting your baby’s back or hip with the wrong carrier. Safety is not just about the strength and security features of the carrier, but it also has a lot to do with the quality of the carrier system from the fabric to overall design. This means you should settle on carriers that are Oeko-Tex certified, implying those with chemical-free fabrics to avoid harming your baby’s sensitive skin. The carrier should also be certified by pediatricians, and allow for proper spine and hip alignment to ensure appropriate support is provided for the baby’s growing hips, head and back. You need to find broad-based carriers. When it comes to comfort, you’ll need to pay attention to your comfort and that of the child. A carrier needs to offer ease and convenience of use. It should distribute the baby’s weight evenly across the shoulder and hip straps, allowing you carry your baby around for long hours. The carrier should also have strong and durable locks making it easy to fasten the straps. Since we’re dealing with the best carrier for short moms, you should make sure whatever option you go for must fit snugly with limited wiggle room. Your child’s age and the size of the carrier should go hand in hand since these two make a vital factor when choosing baby carriers. If you have a newborn you can choose a pouch or ring sling which are deemed good for nursing. In terms of size, you should go for options that can comfortably accommodate the size of your baby. Modern carriers are better because most of them are adjustable to fit different sizes. A carrier’s quality and strength are defined by the quality of the fabric (material), meaning you should consider carriers made of medically approved natural or synthetic materials. Medically approved carriers are not only of good quality material but will ensure your baby’s skin is saved from irritating chemicals. The strong fabric also makes the carrier durable and good enough to hold the baby through its growth without having to budget on another carrier. An adjustable carrier is a versatile option because you can have the convenience of use that will see you nurse your baby comfortably for many years. Modern carriers allow for different carrying positions including front-outward facing, front-inward facing, back, hip, hammock, and back. A carrier is only good if it works in multiple positions, but you should also pay attention to other factors. You’ll also need to think about your lifestyle when you go out looking for a baby carrier. What activities will you be doing when wearing the carrier? How long can your baby stay is a carrier? What’re your doctor’s recommendations? A good carrier should be sensitive to the external environment and protect your baby from adverse climatic conditions. Good carriers should make it warmer for the baby and made out of breathable fabric. Other factors you’ll need to take into consideration is ease of use and cleaning which is important to ensure your baby remains healthy and clean. Nursing friendliness should also be taken seriously.